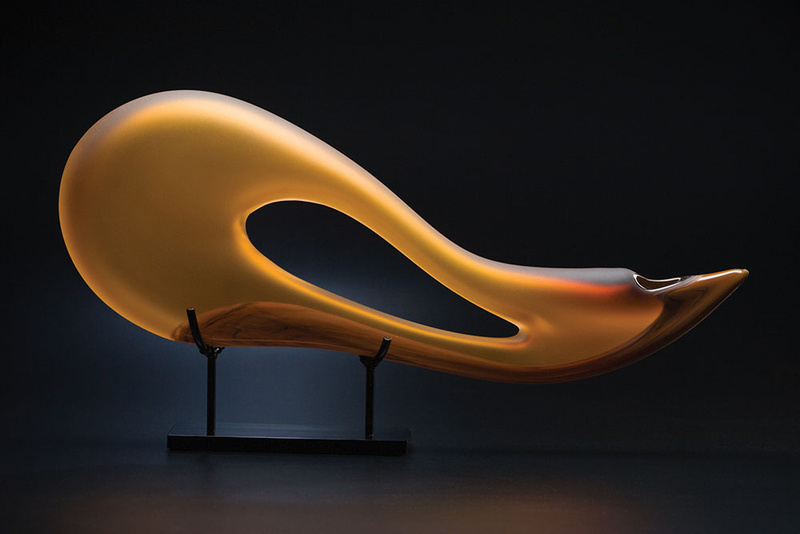 The graceful sweep of the Avelino in cinnamon evokes many figurative interpretations from this contemporary glass sculpture. This horizontally placed glass form has a small element of opaque cinnamon glass color in the bottom curve. This sculpture has been cold worked and sandblasted creating the translucent effect. A custom made metal stand is included.